Roll out quality, fresh pastas with this beautiful pasta maker machine! Pasta made this thin and delicious had to be homemade from scratch. 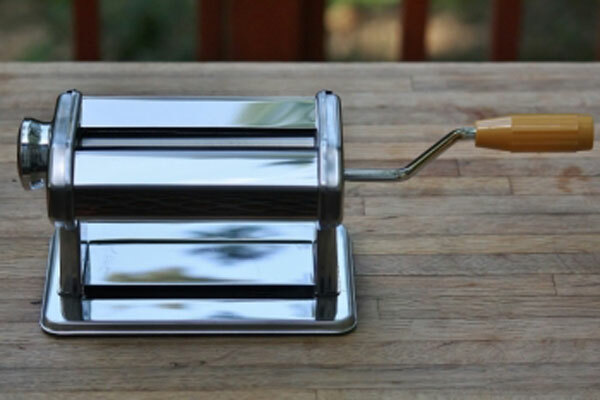 This pasta roller has a sleek steel construction with a sturdy table clamp. Cuts .06" pasta sheets, tagliolini and .25" fettuccine. Clamp securely holds machine to table or counter top.